Need somewhere attractive and sturdy to put your pennies? If you do and would like to offer your customers a solution to the same problem, call SDL Imports today on 01202 291 122 about our train money boxes. 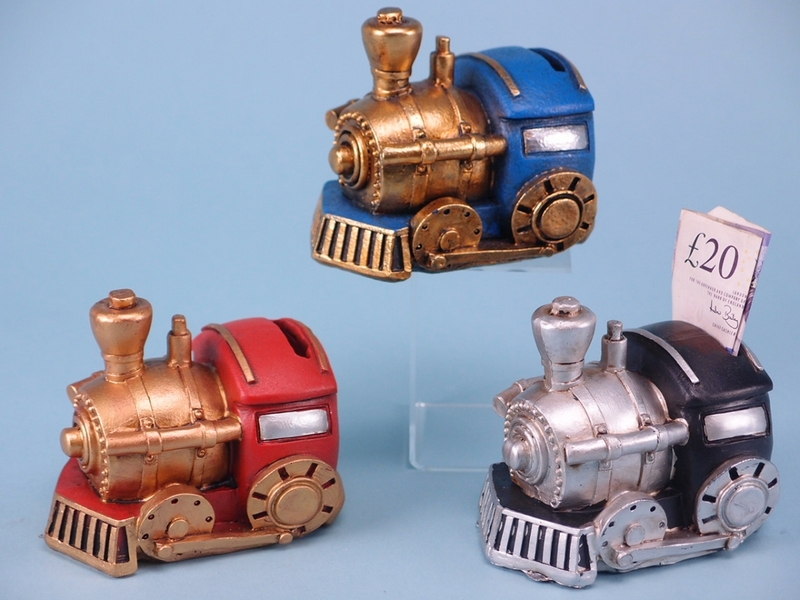 If you are a fan of trains, then these wonderfully decorated little train money boxes will be the ideal addition to the home. Customers are sure to pick these up and admire their cartoonish style and proportions, combined with bright and shiny colour palettes. Steam engines have always captured a sense of character, which modern trains cannot match up to. This is one of the many reasons these train money boxes are such a great option. 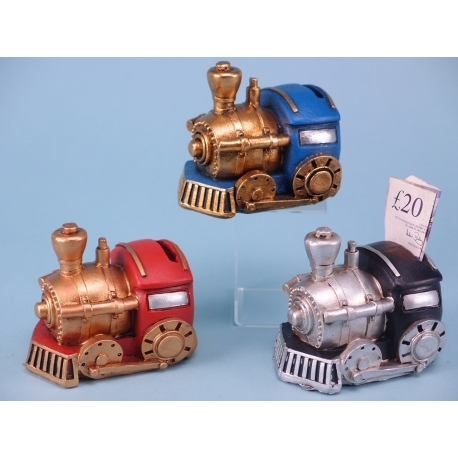 These train money boxes are a perfect gift for children making them a fantastic addition to any gift store.